It was Friday afternoon, the 4th of July, when I was dispatched to a picnic where a 62-year old man was having chest pains. Through the course of my assessment I discovered he was allergic to aspirin. I pursued the next course of action asking if he had a prescription for nitroglycerin. He did. Sweet. I immediately put a call in for medical direction to approve administering the patient his nitro prescription. The answer came back immediately, “Affirmative.” I’m thinking, I’ve got this nailed when the patient collapsed in cardiac arrest. While I was administering CPR, Jono walked through the room and with some level of surprise asked, “He died?” I had forgotten to ask the patient if he was taking ED drugs, contraindicated to administering nitro. Ugh. 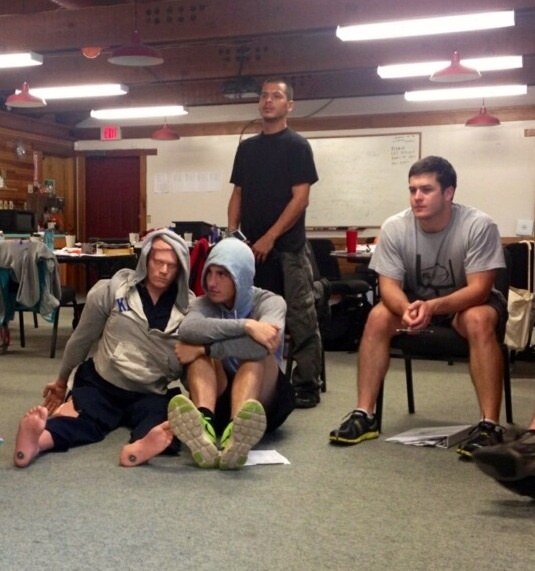 Last week we learned to handle Respiratory, Cardiac, Diabetic, Allergic and Mental Emergencies. That was on Monday. The rest of the week was Poisoning and Overdoses, Abdominal and Hematological Emergencies, Bleeding, Shock, Chest and Abdominal Trauma, Musculoskeletal, Soft Tissue, Head and Spine Injuries. Tuesday I fell out of a tree while hunting and shot myself in the hand. Wednesday we threw our shoulders out of joint and broke our wrists so we could learn to properly apply a splint. Thursday we broke our femurs and put each other in traction. Randy is the resident dummy. His jump suit is held on with velcro and we have all become quite adept at disrobing Randy in what Karl calls ‘trauma naked’. Friday morning we learned to handle multi systems trauma scenarios. Karl moved his car just outside the classroom and four of our classmates climbed inside sustaining multiple injuries each. We were required to secure their spines with a short board and C-Collar, extricate each one out of the car, onto a backboard and then a stretcher. We kept Nick, our patient, calm while we held C-spine and fitted him with the short board. 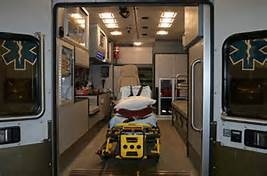 We turned him in the front seat so that his back was toward the passenger door, his feet crammed up against the gear shift, and had just moved him onto the backboard when the Medic One team dropped their patient. It was not pretty. Randy sits on the floor during a demonstration on splinting fractures. I sleep with my phone under the pillow – the alarm set to 4:30am. I think it has rang twice. Most days I’m awake by 3:30 or 4:00am with thoughts of signs, symptoms and vital signs swarming my head. I get home just in time for dinner, go to bed and start over again 6 hours later. Four days of class remain before our final testing on Friday. This week’s topics include Environmental Emergencies, Obstetrics & Gynecological emergencies (I’m guessing Randy will have to temporarily become a pregnant female patient), Pediatric Emergencies and Geriatric Patients, Ambulance Operations, Hazardous Materials, Mass Casualty Incidents, Incident Management and EMS response to terrorism. We have been warned there will be a mass casualty accident at the Nantahala Outdoor Center on Thursday. Actors will be hired with full make-up (i.e., fake blood and bruising). If any one of them are taking Viagra, I’ll be the first to know. There may well have been a Zombie Apocolypse and we wouldn’t know or care. There is no TV, email, phone calls or text messaging during class. No news has come to us about world-changing events. There may well have been a zombie apocalypse and we would not know unless someone had knocked on the door of our classroom. Even then we may have told them to go away – we are busy. Ironically, our classroom is in the middle of a gorge in the Nantahala Forest – a recreational mecca. 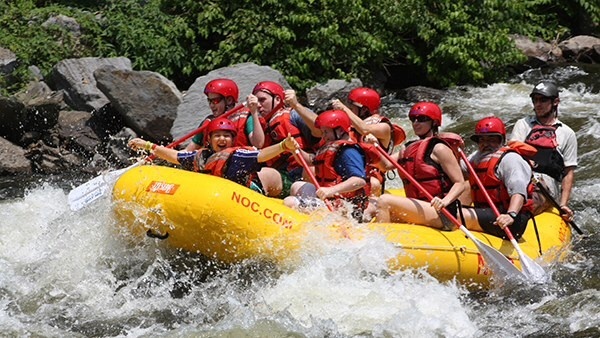 Over a million people visit the Nantahala Outdoor Center each year. My classmates and teachers from last semester guide them through the rapids of the Nantahala River and on the Zip Lines that criss-cross the mountain tops. 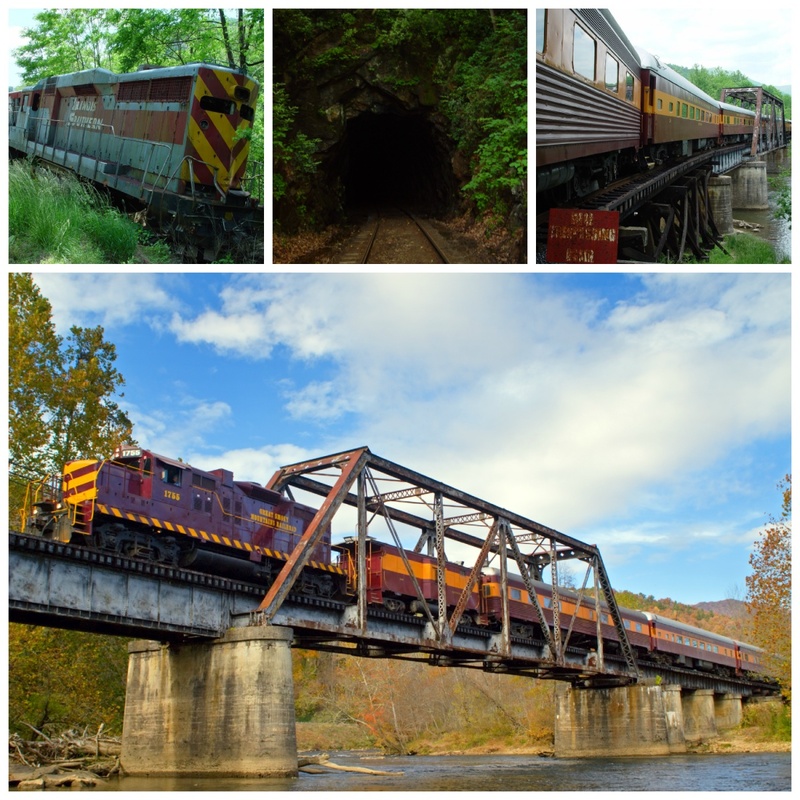 The Great Smoky Mountain Railroad has a one hour layover just outside our classroom on the Nantahala Gorge excursion. We hardly notice. The Great Smoky Mountain Railroad, Bryson City, N.C.
Our day begins with a 10-question quiz….every day. My panic attack came last week after I changed two of my answers making them wrong, resulting in a barely passing grade. Of course, Jono knew the exact statistic regarding our gut reaction and encouraged me to stop changing my answers. The next day I earned 100% on my quiz. Hannah was my partner when I was dispatched to a lovely suburban home where a 17-year old boy had been walking aimlessly in his back yard for hours. In less than 4 minutes I had concluded recreational drugs were the culprit and convinced him to tell me exactly which drug he had taken… K2. Hannah, the patient, and the proctor (all 20-something classmates) looked at my reaction and said, “You have no idea what that is, do you?” I did not. B. identify the medication taken. D. establish and maintain a patent airway. The next scenario was a mother whose infant would not stop crying. It was Hannah’s turn for the 5-minute countdown. The mother said the baby had been fine and was happily crawling around on the floor before the crying began. Immediately, I suspected the baby had eaten something and saw the bottle of chewing gum pretending to be Ibuprofen lying in the corner. This didn’t occur to Hannah who doesn’t have a 31-year old child to her credit. Clearly we will each bring our own set of skills to this new endeavor. Not everyone wants to be an EMT. Hannah is a pharmacology student, Victoria’s major is psychology while Dan is a biology student and, of course, my goal is to teach Wilderness Medicine. Nonetheless, we will all train to be an EMT and my first rotation was at a nearby EMS station. Melissa, the resident paramedic, took me under her wing and we sat in the Ambulance for hours as she explained every item there. Just as we finished, a call came in and we were up. She pointed to the jump seat behind the driver and said to strap in. A few minutes later she told me to find a reflective safety vest…. it was a car accident and we would be standing in the middle of the road. There was a light, steady rain. The vehicle was in a ditch and had completely flipped onto its roof. The victim, a 24-year old female, had crawled out and was sitting in a nearby truck crying. She had worn her seatbelt, and although she nearly went unconscious several times from hyperventilating, she only suffered a few scrapes and bruises. We left her in the very capable hands of the Emergency Room doctor. One day, Jono reminded us that even though we are learning logical approaches to administering care, everyone will develop their own system. That does not make one system right and others wrong. We will be most successful if we do what works best for us. How true. For nine days, my world was turned upside down and I have learned it is entirely possible to become a different person in just nine days’ time. Each day began at 4:50am so I could spend one hour on the new treadmill in the garage. Once I left the comfort of that run, anything could and did happen. One day we spent the afternoon rafting down the river. It was not a particularly pleasant day for being on the water – cold, rainy with 25 mph winds. 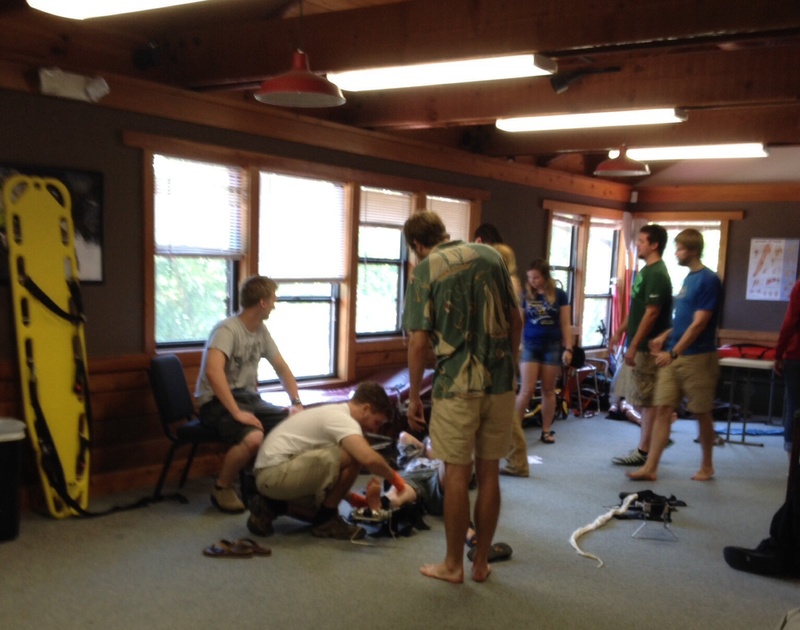 Even still, it was fun talking and telling stories….until one of my classmates had a seizure right there in our raft. We managed to get the raft to the road-side bank and position him deeper inside the raft for safety. That’s when I noticed someone in every raft was having a seizure. It was a test. Standing at the river’s edge, Jono gave us a lesson on the different types of seizures and what we should have done for our patient that perhaps we had not. We were wet and cold, which led to a discussion on hypothermia and what we should do when our clients are shivering 2 hours into the hike….or, in our case, just 2 hours down the river. We ran up the steps, around the picnic table and did the bunny hop – in wet suits and rubber booties. Back in the rafts, we were fully suspicious of the next disaster. Just as we had gotten distracted, we found 5 classmates scattered along the bank of the river. My patient was partially in the cold water on the lower side of the bank, had lost consciousness and wasn’t breathing. These scenarios were nerve-racking. We had a conversation one afternoon about the mental side-effects. Jono helped us understand that the adrenaline rush of a rescue could leave us feeling hungry and, if we satisfy that hunger with the wrong foods, we may gain unwanted weight. Stephan talked about how the job can change the relationship with our spouse. On day seven, we traveled to a nearby forest for our final scenarios, including a nighttime rescue. We checked and re-checked our equipment, divided ourselves into teams of medics, equipment crews, and a safety/evac leader. The first rescue was by the river and Tanner got completely wet trying to pull a patient out of the cold water that had jumped from a bridge and landed face first on the rocks. We performed CPR for 30 minutes before Stephan told us there was nothing more we could do for him. It was deflating and we couldn’t help but feel discouraged….except there were two more patients to be treated. So, we set about preparing the litters for transport and clearing the site. When the actor that died stood up, we realized a couple sitting at a nearby picnic table had been watching the scene unfold. They clapped and cheered as if it were all real. It felt real. The last evac started around 7pm that same day. Our first challenge was to know where we were going. It was a 1/2 mile from the trail head….straight up. There were only two patients this time – a diabetic and a nice guy she pushed over the cliff when he tried to help. He had a broken neck. I was the roving medic and found myself a few feet further down the trail when a man came stumbling out of the forest high as a kite. It took strength and focus to convince him to lie down so I could begin treating his wounds. He was delirious and made the effort of taking his pulse and dressing the wounds next to impossible. When we thought everything was under control, dispatch alerted us of a storm two hours out. We had to evac now. It took 1-1/2 hours to get back down the 1/2 mile to trail’s head with the three patients. Yes, it is possible to become an entirely different person in just nine days. We have learned what to do when someone has a heat stroke and how to deliver a beautiful baby. We discussed black widow spiders and the stages a person goes through when they are in shock. There have been long discussions about the signs and symptoms of everything that may affect the body and we have fully understood how, amazingly, our body will attempt to heal itself. Our bodies are quite spectacular. Yesterday, we took three tests that would determine how we approached the day today. 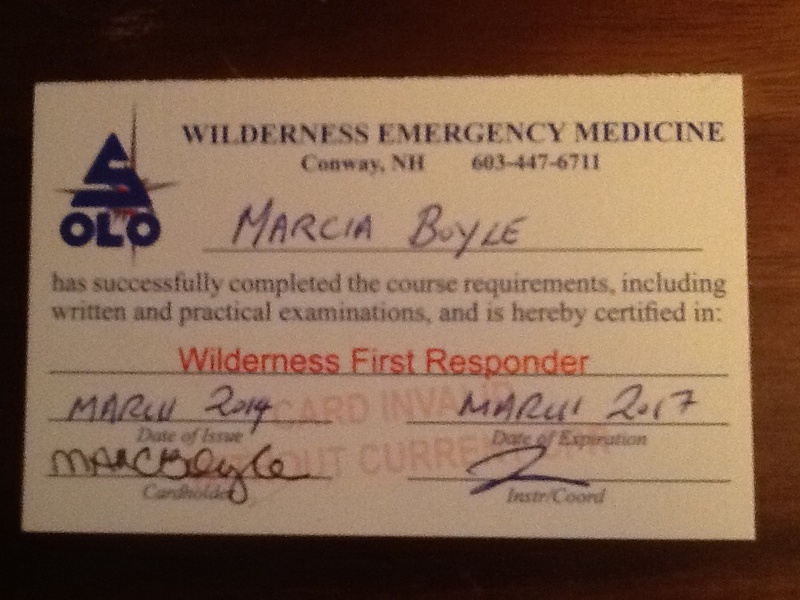 We all passed and now there are another 15 Wilderness First Responders in the world. We will be nervous when we find ourselves in that first “real” rescue and we will depend on the tricks we learned to guide us through the patient assessment: DR ABCDE, make a decision, perform the secondary Head to Toe, Vitals, AMPLE. The next time I see an EMT or read about the first responders at the scene of an accident, I will send them a silent prayer of support, appreciation and understanding. Today is the first day of my time as a First Responder and, maybe you will do the same for me. 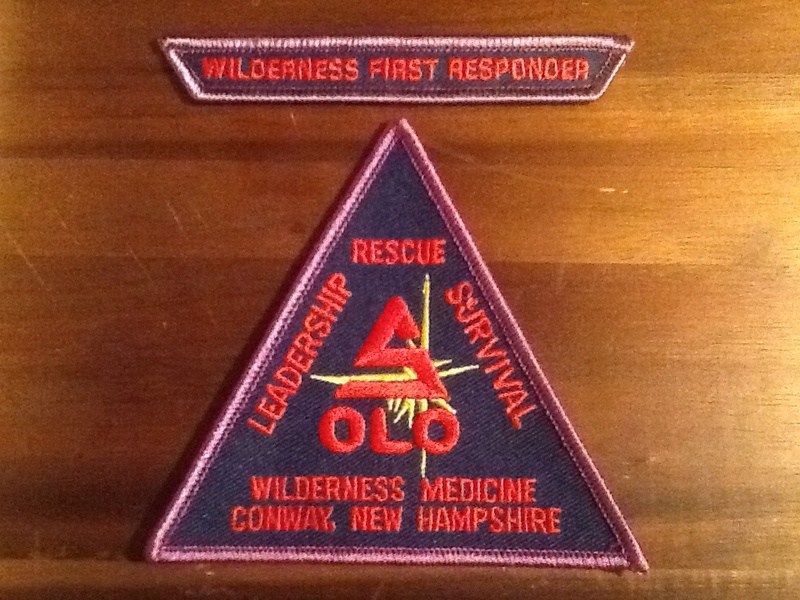 For more information on becoming a Wilderness First Responder and the WFR training, take a look at SOLO Wilderness First Responder.